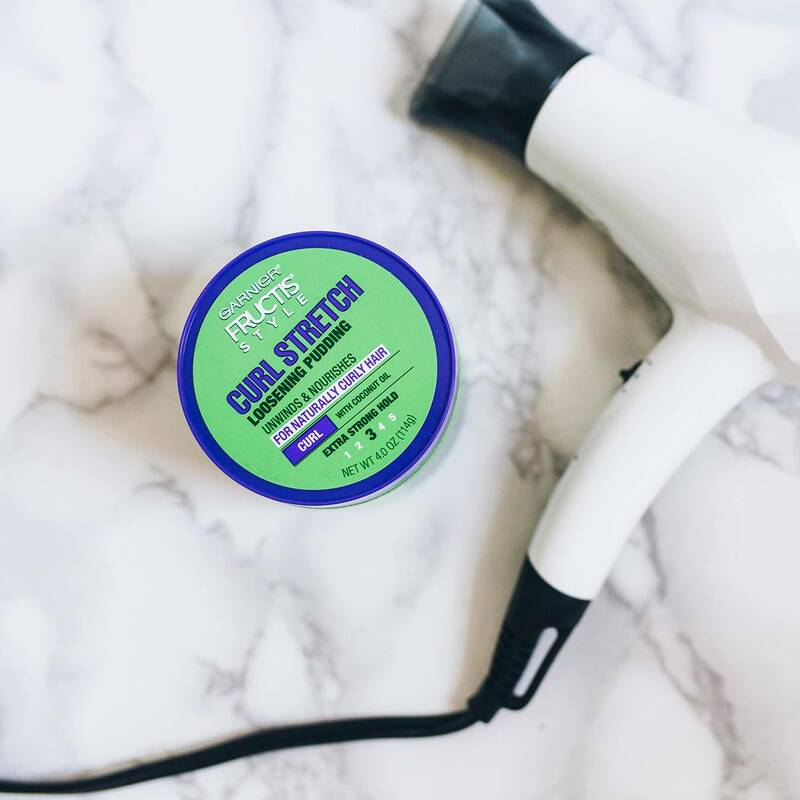 Treat and style in one easy step for soft, defined, natural curls. 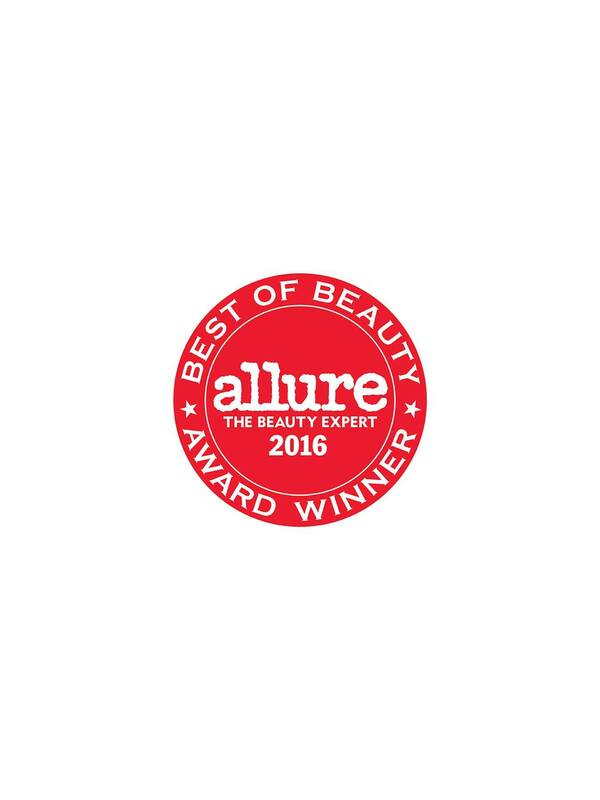 2016 Allure Best of Beauty Award Winner. Wish you could transform your natural curls into loosened, nourished waves? 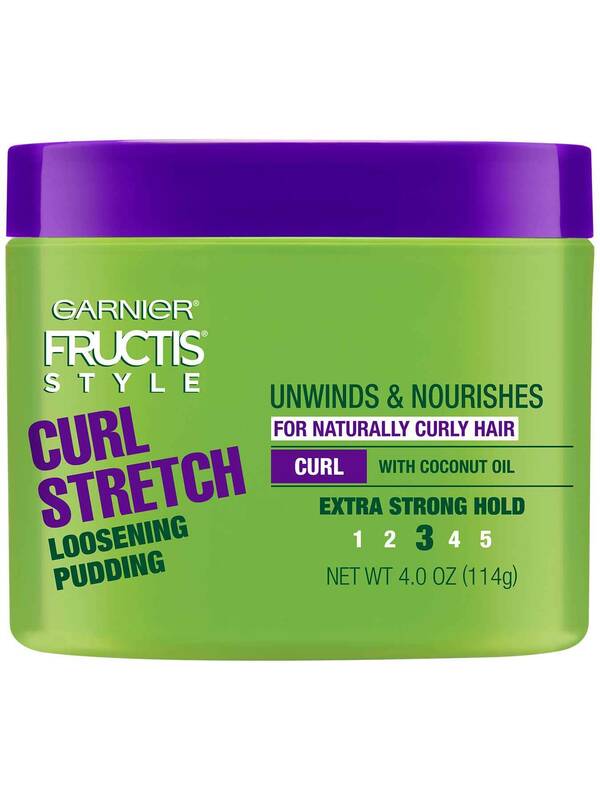 Garnier Fructis Style Curl Stretch Loosening Pudding styles and treats in 1 step to nourish and elongate natural curls for a wavy look without any crunch! Velvety smooth, silky rich pudding formula with coconut oil replenishes moisture in natural curls for an ultra-dose of nourishment without greasy build-up. It creates soft, natural waves with no crunch. Apply product evenly to wet or damp curls. Gently tug sections of hair to stretch and elongate curls. Let air-dry or blow-dry with a diffuser. Rated 5 out of 5 by Nicky13 from The one product I keep coming back to I first discovered this product about three years ago and have used it on and off since then. I have always loved it but it can be hard to find in stores and I wish I could find it in a larger size, so I have occasionally drifted away to try other products (including much more expensive ones). But this is always what I come back to. I have long 3a/3b curly hair and this is the one product that I feel like I can consistently rely on to make my curls look beautiful. And despite being marketed as a "loosening pudding" this actually helps my hair form perfect ringlets instead of limp curls, which I absolutely love. Yes, it might contain some of those "bad" ingredients us curly girls have been told to avoid, but honestly all I want is a product that makes my hair look beautiful and helps me keep my curls healthy, and this product delivers. I love love love it and highly recommend. Rated 5 out of 5 by MakeupWithJessicaNicole from Like it Better than expected. Got it free for testing purposes. I'll definitely be using this product. Recommended. Rated 5 out of 5 by Brandy m from I love this This eliminated any sign of frizz and goofiness. I only used a tiny amount to smooth my entire head and leave me with beautiful curls. The smell is amazing and the best part is it doesnt leave a residue or feel heavy in my hair.I received this product from influenster for review purposes. Rated 5 out of 5 by LMD1234 from Curl Treats Voxbox I received a free sample and loved the packaging. Opening up the canister, we all love to of course smell the product. The coconut smell was wonderful and the product was amazing for my hair texture. It really made my curls stand out. My husband even loved the gel for his hair as well! Rated 5 out of 5 by Bb2018 from Best product for curly hair PLEASE MAKE MORE OF THIS PRODUCT! I cleared the shelves of this product in 5 different Walmarts. I've tried many products and this is the best for natural curly-hair. Rated 5 out of 5 by BringCurlStretchBack from I LOVE this stuff How come I can't find this PERFECT product any longer? Garnier, you seem to do this with your products for curly hair. You did it with another product several years ago and then introduced this. This product leaves my naturally curly hair smooth with gorgeous curls WITHOUT being crunchy. Please continue to make it or let those of us who adore this stuff what you're planning on doing. I don't like my curls crunchy, and this has been the ONLY product that can do that! Rated 5 out of 5 by Theoni from PLEASE BRING THIS PRODUCT BACK ON THE SHELVES! I have stocked up on this product because it seems nobody is selling it anymore. 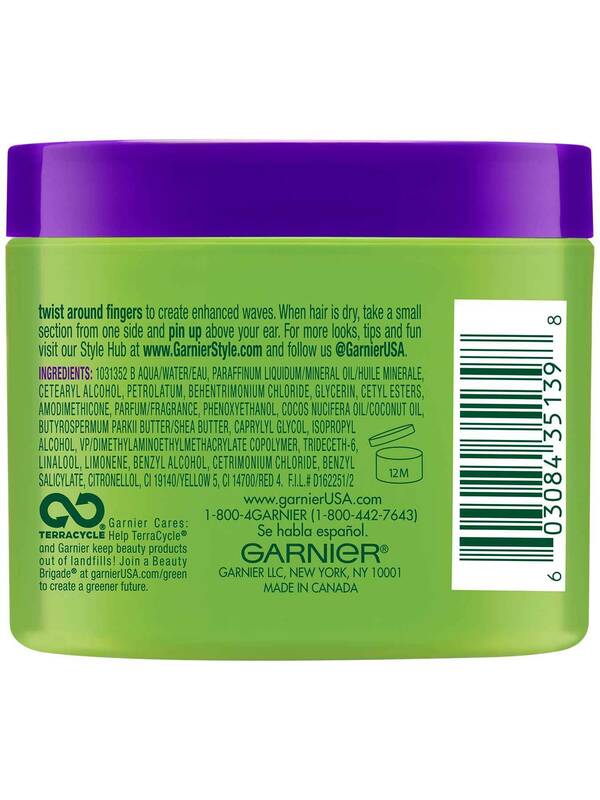 GARNIER IM VERY UPSET IF YOU STOPPED MAKING THIS .PLEASE BRING IT BACK LIKE FOREVER BECAUSE MY HAIR NEEDS IT AND LOVES IT! PERFECT FOR BLONDE CURLY HAIR SIMILAR TO SHAKIRA'S. IT LOOSENS MY CURLS AND ITS FRIZZ FREE! Rated 5 out of 5 by KeylaH from Favorite Product I have dry, curly hair so it was hard for me to find a product that gave my hair life again. The first time I used it I was surprised how soft, and bouncy my curls turned out. I especially use this product every time I have an event to go to because it keeps my hair looking great for the whole time. A lot of the time when products say they are for curly hair. in my experience, they do not work. However the curl stretch pudding does the job while keeping my curls in tact. I would recommend this product for people with curly hair like me!